Troubleshooting your Epson Ethernet Printer on iPad – How can we help? This guide provides instructions on how to troubleshoot your Epson LAN/Ethernet printer on your iPad. If you would like to learn how to set up your Epson LAN/Ethernet printer on your iPad, check out our set up articles here. Once you have set up your Epson LAN/Ethernet printer, you may have some trouble with your set up. The instructions below will help you troubleshoot your printer to allow you to start printing receipts from your iPad. 1. Log in to your Vend app on your iPad and click on the 3 line menu icon on the top left-hand corner of your screen. 2. Tap on Settings -> Hardware. 3. Tap on the printer that you have already installed. 4. Tap on the Find button to see if Vend is able to find the printer. 5. When the printer pops up with an IP address, select it and Save. 6. Try to print another receipt. 1. Press and hold the 'push' button on the back of the printer for about 4 seconds. The printer will print out the network settings and you should see the IP address listed at the top. 3. Tap on the home button of the iPad to take you to the screen on the iPad where you see all your Apps. 4. Tap on Settings -> Wifi -> Tap on the Wifi network you are connected to. Note: There can be exceptions to this for more complicated networks. However, for 90% when there are different subnets, this means that the iPad and the Printer are not on the same network/subnet. 1. If you have confirmed that the Printer and the iPad IP addresses are on a different network/subnet, check that the iPad is connected to the correct network. To do this, head to your network settings on your iPad, and make sure that it is the same as your printer. If it is, contact your IT team or the people that set up your network to ensure that the printer and the iPad are on the same network. 2. If the IP address on the settings receipt says NONE, the printer is not connected to the internet. 3. Ensure that the ethernet cable is plugged in, both on the printer end and on the router end. If it is plugged in, try to plug the ethernet cable into a different ethernet port on the router and check again whether the printer is getting an IP address. 4. On the receipt print out, please ensure that DHCP is ENABLED. If it is DISABLED and is not what you intended, follow the instructions in this help article on enabling DHCP. 5. On the receipt print out, please also ensure that APIPAis set the ENABLED. 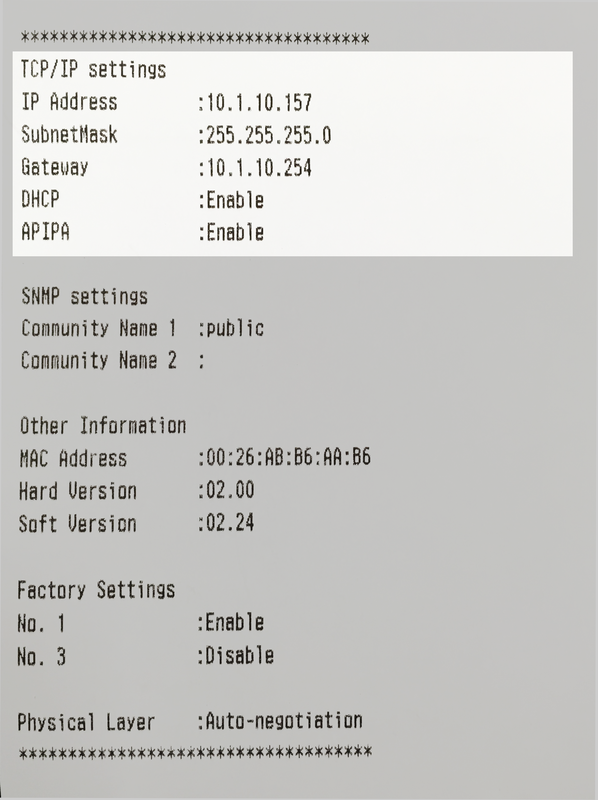 If not, follow this help article on enabling DHCP. If you continue to experience difficulties with your Epson LAN/Ethernet Printer on your iPad, contact our Support Team who will be able to help you further.